Your fleet has arrived, and you set off in pursuit of the pirate gang who invaded Alverdine, the Harpies' Harriers. Can you catch up to them and mete out justice before they can regroup? Or are you sailing into a trap? This event and The Harpies of Vigona EB will be available from Tuesday 13th until Wednesday 28th at 12:00 PM Pacific Day Time. The Harpies of Vigona are back! This Epic Battle will be available until the end of the A Storm of Retribution event. 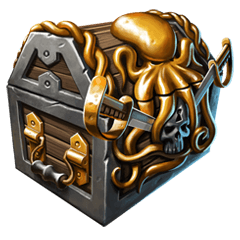 To initiate it, Clans will need to use 5 Mariners' Tithe which have a chance to drop from Scylla's Chests (you can get these Chests from daily Legends) and Royal Scylla's Chests (these Chests have a chance to drop from Epic Battles). 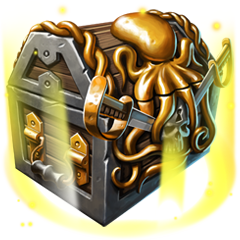 Any unused Mariner's Tithe will expire after the event ends, so make sure to use them before that! I’ll give you a waffle if you give me a jumpstart on the event by giving me 5k? Bluejay wrote: I’ll give you a waffle if you give me a jumpstart on the event by giving me 5k? Ill do one better. A Waffle, 2 bananas, and a glass of OJ. I like the continuity. Now on our way back from Vigonia we will encounter the Revenge of Zuthmerak! Um, I’m give you two waffles and authentic canadian syrup! Um where's the actual rewards for this NEW EVENT ???? Tried posting from my Droid, but did not work, so herewith from ipad2.. Seems the dollar grin was the issue, could not post it from pad either. How about 3 waffles, a pancake, some strawberries, coffee, milk, and a warm bagel.